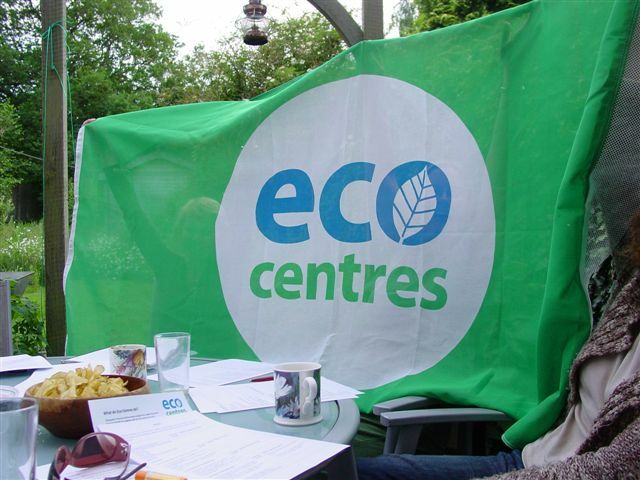 Help us become one of Oxfordshire’s first Eco-Centres! The Dean Court Community Centre is working towards the Eco-Centres Award. We are now registered (thanks to a grant from Sovereign Housing) and have started to plan the implementation at the Centre. This of course is a little complicated and challenging at the moment as we do not yet have a completed building to carry out the Environmental Review! Undeterred, our Eco-Team have assigned the nine sections of the review between us and will be meeting later in October to see what we know so far. Think of it as a big 100 piece Eco-jigsaw! This review is the important first step and will cover subjects such as energy, waste, water and even biodiversity and will allow us to then plan our actions. ← Day 113: G-Men can include Good Guys . . .